Hög prestanda och mudulär design. Fedegaris innovativa horisontella bänkautoklaver i FOB-serien kombinerar utmärkt prestanda med högsta byggkvalitet, användarvänlighet och effektivast möjliga processer. 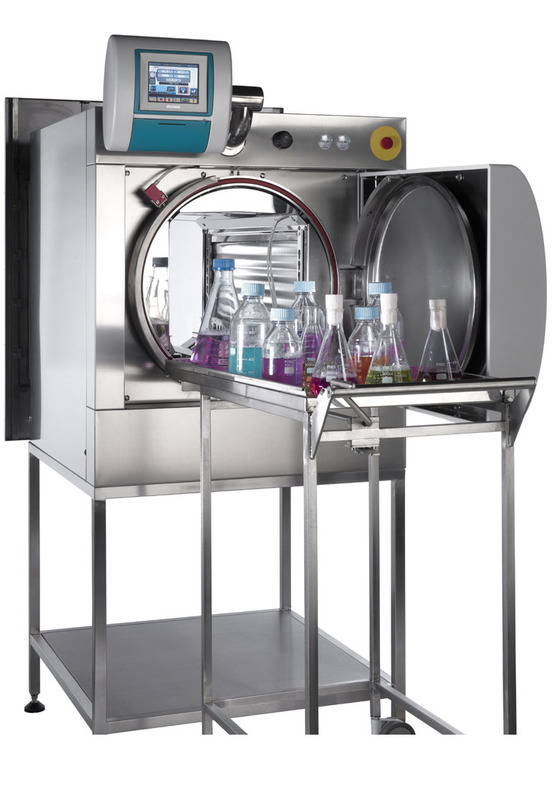 FOB is a bench top lab sterilizer that combines excellent performance with high quality materials, ease of use and reduced utilies consumption. Private and public microbiology labsHigh schools and universitiesResearch institutes, life sciences and biotech labsClinical diagnostic labsAgriculture, environmental and veterinary labsMaterial testing laboratoriesQuality control lab´s in pharma, food/beverage, chemistry/cosmetics and other industrial sectors. 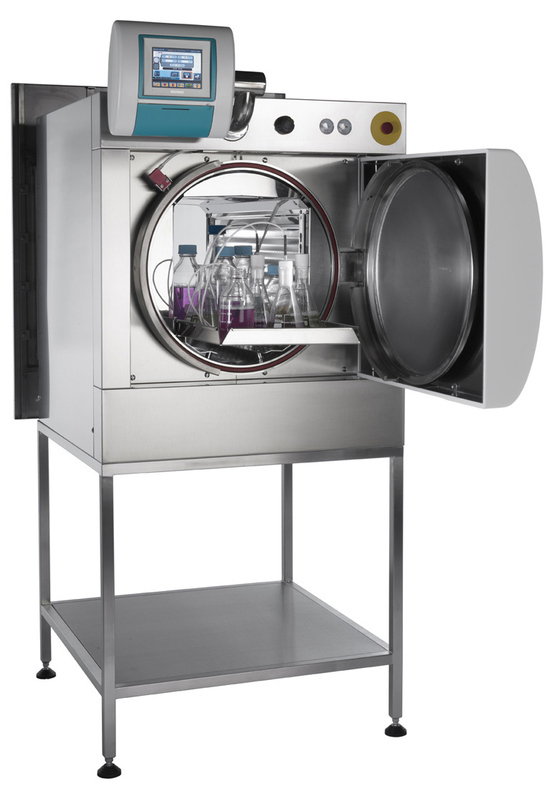 FOB series autoclaves are used in highly specialized fields thanks to a wide selection of options on a modular system. 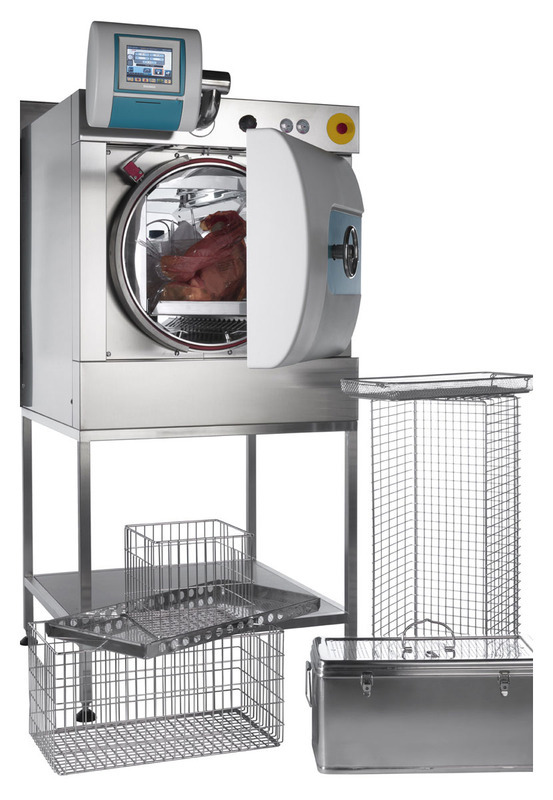 Hence, FOB sterilizers can be configured to meet the most demanding user´s requirements. FOB5 may be adapted to satisfy various laboratory applications and the treatment of many different types of loads, including waste with high pathogen risk, in addition to solid porous goods, packaged items and liquid/media, in open and sealed containers. FOB has a modular design, to meet the widest possible range of our customers’ needs. A unique opening/closing door system with patented pneumatic gasket seal guarantees perfect airtight, maximum reliability and improved safety for operators. Moreover, FOB autoclaves can be equipped with safety device in compliance with TRB402 and thermal interlock to prevent door opening. Chambers, pneumatic valves and hydraulic components are made of 316L stainless steel, with sanitary electropolished finishing. FOB is designed to assure wide and easy access to technical area for maintenance activities. 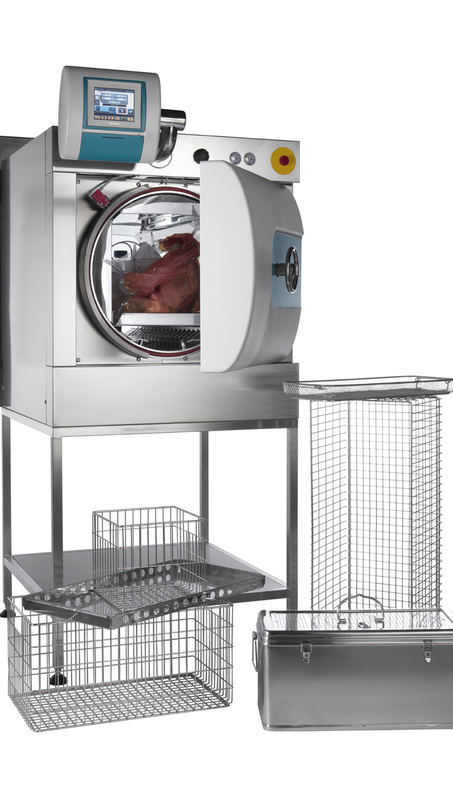 Easy installation and quick connection to the utilities makes FOB series autoclave even more attractive. To assure energy savings, FOB has a heat exchanger recovery system installed out of the chamber to reuse the heat of condensate for water pre-heating before the steam generation. FOB series is equipped with DCS PLUS 10 process controller: 30 cycles easy to customize in a multi-user environment with large touch-screen color display and interface for remote monitoring via Ethernet control. DCS PLUS 10 process controller is fully validated and documented. Kontakta oss för för offert och personlig rådlivning! För våra mer avancerade produkter vill vi hålla personlig dialog och skriva personliga offerter för att ni ska kunna vara så trygga i er investering som möjligt. Vi erbjuder fördelaktiga leasingalternativ via Wasa Kredit för att sprida ut investeringen under ett par års tid. Köp den därefter för restvärdet (normalt 5 % av normalt inköpspris). Kontakta oss!